Back in August, I shared with you that I would be recording two new audiobooks. I Could Write a Book by Karen M. Cox, and The Last Highlanders by Andrew McGregor. Today, I am very excited to announce that BOTH of the audiobooks I narrated are now available for purchase on Audible and iTunes! 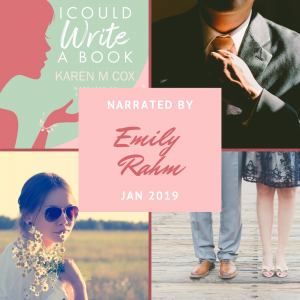 Before Christmas, I was able to speak with Karen a bit about my process for audiobooks in general, and for I Could Write a Book, specifically. You can check out that interview over on Austenesque Reviews by clicking here. Truth be told, the process of producing audiobooks was A LOT more involved than I anticipated. Recording was fun, but I had to be specific about when I recorded. Since I was using my living room as my studio, I had to take the time to set up equipment, including blankets surrounding me to absorb any potential echo. Then, because the mic will pick up any sounds, I have to make sure my neighbors aren’t walking around and talking. Once I had things recorded, I could edit. And editing, for me at least, gets really tedious really quickly. And it didn’t take long for me to get tired of the sound of my own voice. But! Seeing my name next to a published audiobook is a really cool feeling, and makes the whole process, long as it was, seem worth it. I Could Write a Book was the first book I finished. It’s Jane Austen’s Emma reimagined in 1970s Kentucky, and I really enjoyed the story. It was so much fun to follow Emma through friendships, relationships, and family obligations. And when I got to read dialogue instead of simple narration, I had a blast letting that spark of personality shine through. Karen did such a great job of writing, that it was really easy to get swept up with the characters and just sort of enjoy the ride. I hope you’ll take the time to follow this link and purchase this audiobook today! The second book I finished is The Last Highlanders. If you’re interested in a male protagonist, this book will be more your style. This book was especially challenging for me, because it takes place in Scotland, so I had to try my hand (voice?) at a Scottish accent. The story follows a group of people across the Scottish Highlands as they flee (and sometimes fight) the redcoats, following the Battle of Culloden in 1745. The characters were very unique, and while some had long-standing relationships, others had just met, so it was interesting to see how the characters related to each other, and be able to explore that in my narration. 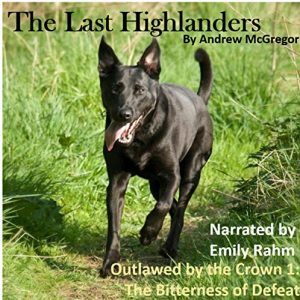 This link will take you to the purchase page for The Last Highlanders! 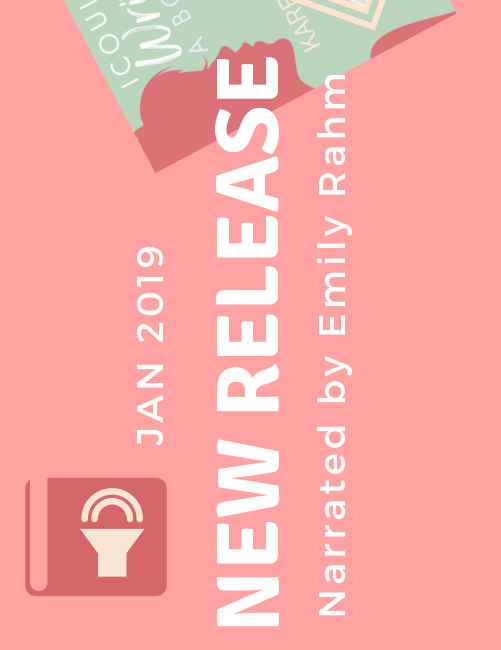 Overall, I really enjoyed producing both of these books, and I hope you’ll enjoy listening to them! If you’ve been missing the sound of my voice, go ahead and give these books a listen. I guarantee you won’t be disappointed.